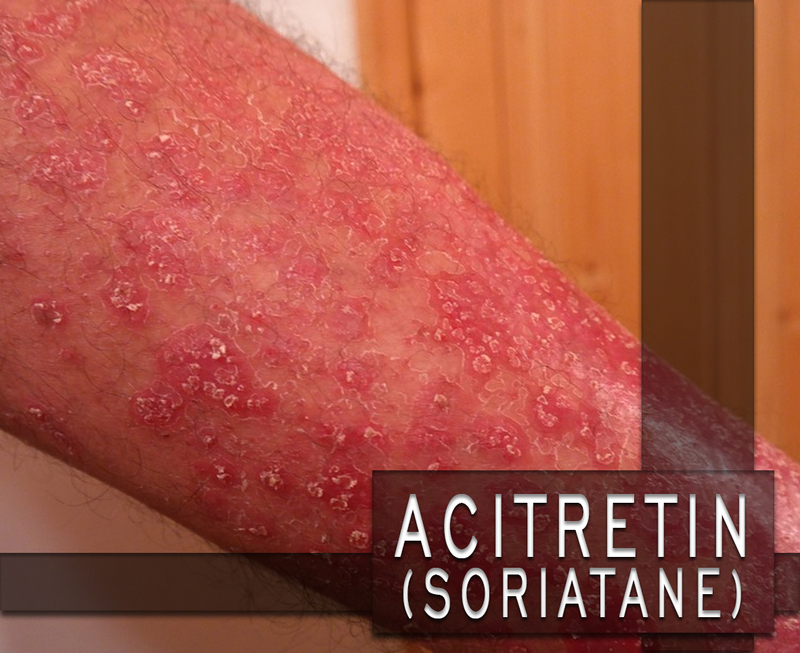 Acitretin (Soriatane) is used for the treatment of psoriasis and other skin disorders in adults. Psoriasis is a skin disorder that includes chronically happening to be bright red patches covered with silvery scales. It cannot be passed from one person to another. How does Acitretin (Soriatane) work? Acitretin (Soriatane) is a derivative of vitamin A. This is used for the treatment of skin disorders. This medication reduces the speed at which the cells involved in psoriasis are formed. It may take 2 to 3 months before the full benefit of this medication is seen. Acitretin (Soriatane) is a retinoid. The retinoids are a class of chemical compounds that are vitamers of vitamin A. It is found in medicines where they regulate epithelial cell growth. This is available in 19mg and 25mg gelatin capsules for oral administration. The gelatin capsule shell contains iron oxide, gelatin, and titanium dioxide. This medication is approved by the Food and Drug Administration (FDA). You can buy this here at its affordable price. How to use Acitretin (Soriatane)? The recommended dose of this medicine will depend on your medical condition and age. Usually, the starting dose of this is 25mg once daily. Your doctor may increase the dose to 50mg once daily if there has no desired effect is seen after 4 weeks. This should be taken once daily with food or just after a meal. Follow your doctor’s prescription on time. What are the side-effects of Acitretin (Soriatane)? You may experience more redness, skin scaling, and peeling the first several weeks as your body adjusts to the medicine. If these side effects continue and worsen, call your doctor right away. Before using this, inform your doctor if you have any allergies or current medications. Do not share this with others who have the same condition as yours. Teel to your doctor if you have heart disease, kidney disease, or high cholesterol. Keep this away from heat and from the reach of children.